Rosetta Stone is a puzzle where you have to balance the scales by completing equations or words. 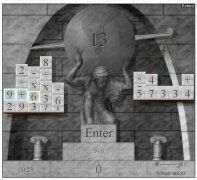 The objective is to reach the highest score possible, but it won't be easy, because each time you answer correctly new blocks will appear to unbalance the scales. 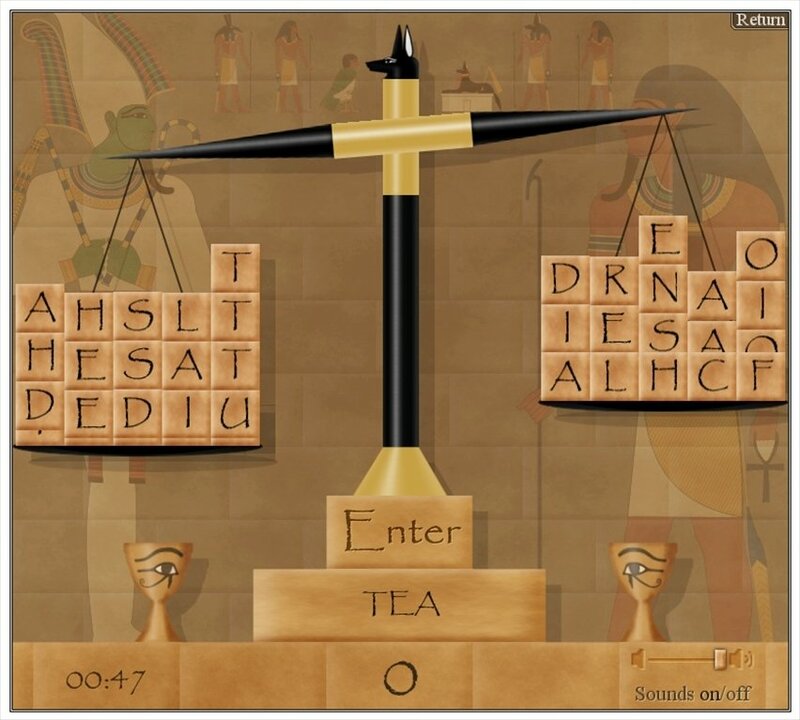 Puzzle based game: maintain the balance of the scales eliminating the blocks. 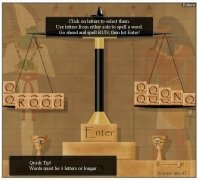 Two playing modes: Egyptian word creation mode and Greek mathematical equation solving. Includes tutorials to learn to play. 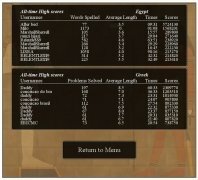 Manage to score as many points as possible to enter the world ranking. 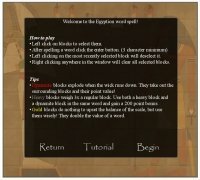 The game is very simple. To start off, choose the mode you want. 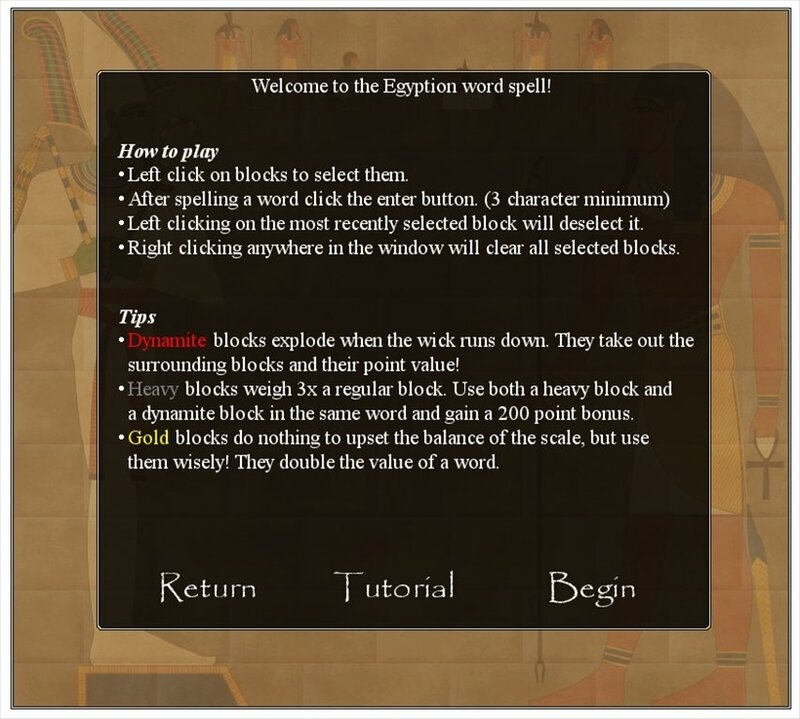 When you play the Egyptian mode you'll have to create words with the blocks to eliminate them from the scale. 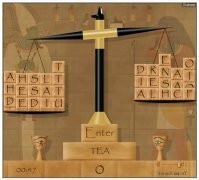 The minimum amount of letters is three. 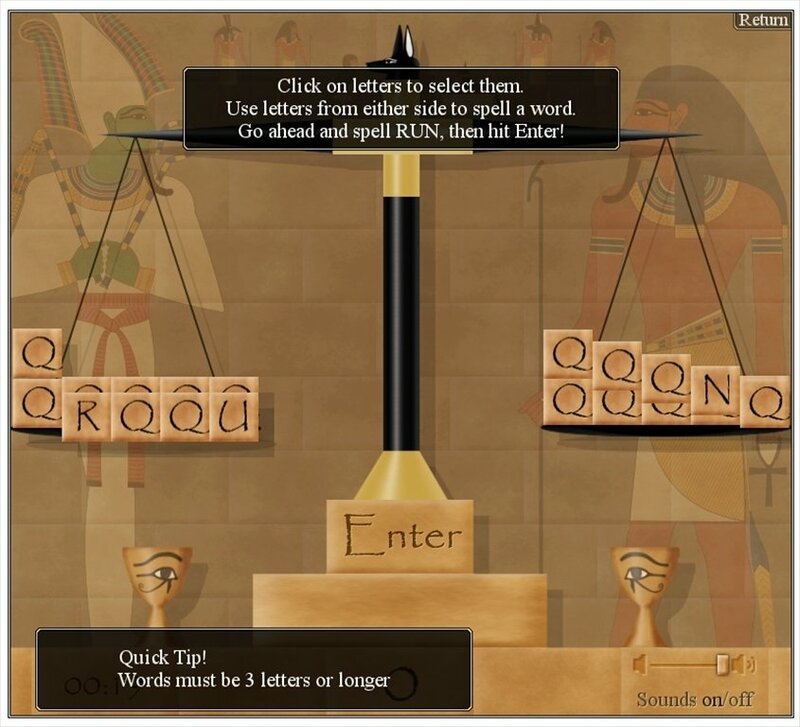 Simply select each one of these blocks and press 'Enter' to confirm the selection, sum points and eliminate 'weight'. 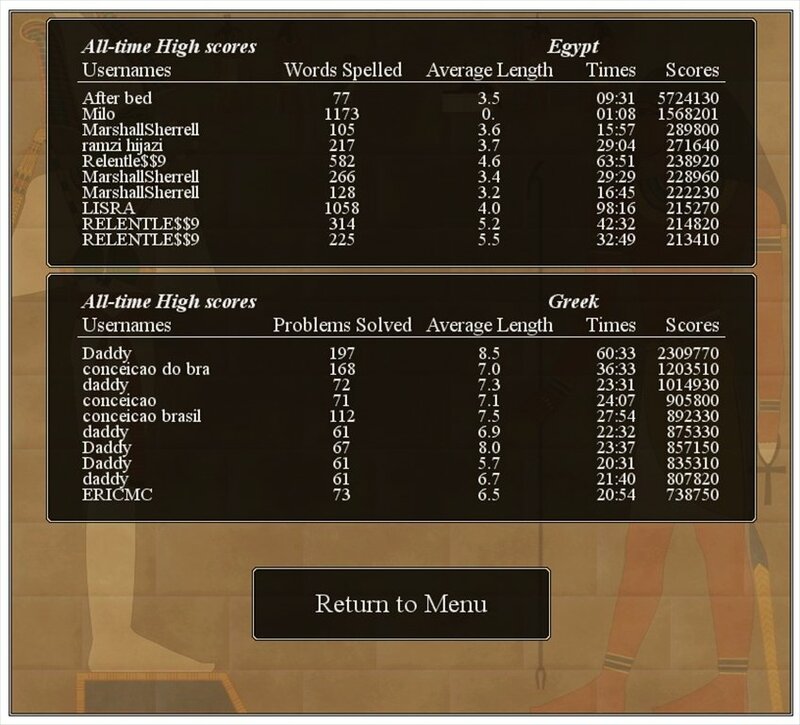 The Greek playing mode works more or less in the same way, with the only difference that instead of using numbers you have to use words. 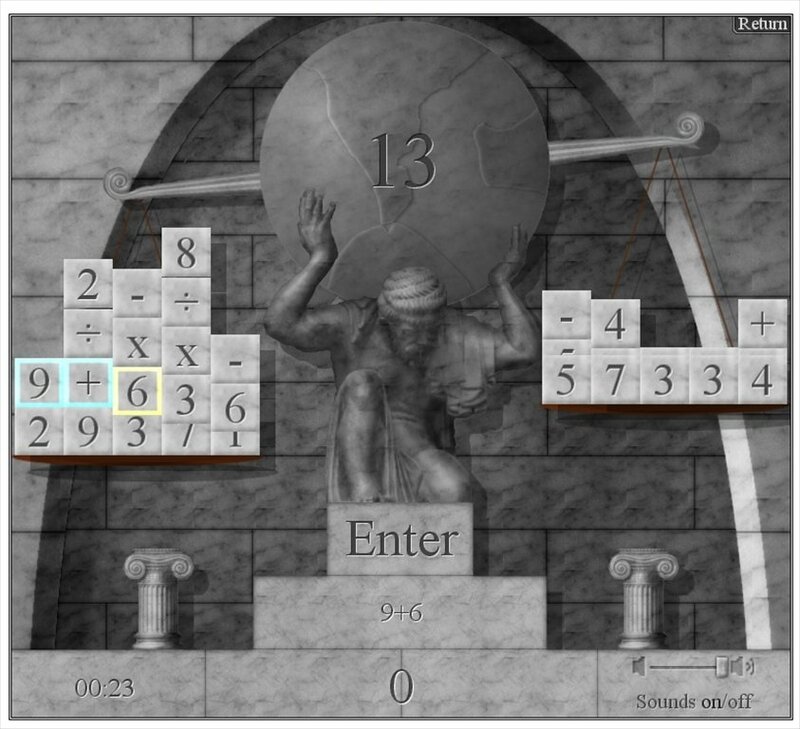 You have to create a complete equation: the blocks will disappear and your score will increase. 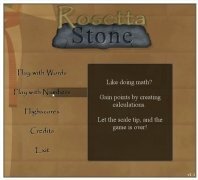 Test your spelling or mathematical operating capacity with this entertaining pastime, download Rosetta Stone for free.